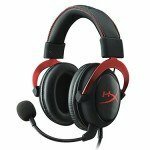 What’s The Difference Between “Headphones” vs “Headsets”? 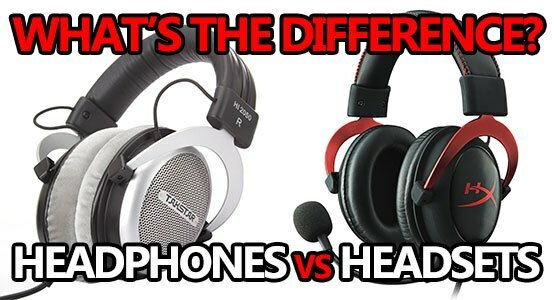 This is a pretty common question that I see and it’s something I would like to help clear the air about; headsets and headphones are definitely two different things! Sure, these terms can easily be used in pretty much the same manner, but they’re not the same thing! Let’s take a look at a few of the points that separate headsets and headphones. When you’re talking about a “headset” you’re probably going to be referring to something with an attached or integrated microphone of some kind, right? Well, that’s the first, and probably one of the biggest consistent differences. The term headset almost always refers to a pair of headphones with an attached microphone, but a pair of headphones without a mic are just that, a pair of headphones. To clarify, the biggest difference between a pair of headphones and a headset is the microphone every headset will have. No attached microphone = headphones. Attached microphone = headset. That said, more often than not the mic that you’ll get with a gaming headset is going to be subpar when compared to standalone mics like the Mod Mic 5 or the Blue iCE, but there are definitely exceptions. The HyperX Cloud II is a gaming headset known for having a great mic and it’s definitely not the only one. There’s also Sound BlasterX H7 and Sennheiser GAME ONE, just off the top of my head. The second biggest difference is often the overall sound quality of a gaming headset when compared to a pair of even low-end audiophile headphones. Yeah, there are definitely some really good headsets out there that can no doubt compete with low-mid range audiophile headphones, but they’re few and far between. Even a cheaper pair of headphones like the Takstar Hi2050 will blow away most headsets in the ~$100 range, and this is solely due to headphones only having to focus on one primary function – great sound quality. I’m not saying the sound quality of a gaming headset is terrible, but you’re more often than not going to get better sound quality from a pair of dedicated headphones. Headsets like the HyperX Cloud II, or even the Razer Kraken offer up very immersive soundstages, and good overall quality, but they’re still inferior to most cheaper audiophile headphones. Third up we have the convenience factor. In terms of VoIP, headsets are objectively more convenient than a pair of headphones for the primary reason that the headset will have an attached mic of some sort; some mics will be permanently fixed to the headphones but others (usually higher quality headsets) will have removable mics. This usually makes things easier if you’re going somewhere and you need a headphones + comms. 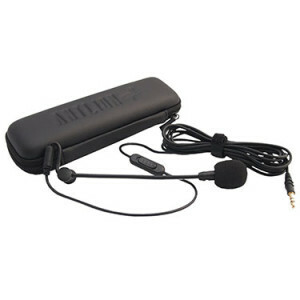 The alternative is often lugging around not only a pair of headphones but also a standalone microphone which can be cumbersome depending on what you’re using. Now you have two pieces of (probably) expensive technology that you have to worry about something happening to. There’s also the option of the Mod Mic 5 that I previously mentioned. It can stick to pretty well any pair of headphones to effectively create your own headset. But, it’s also going to cost more up front and it’ll be adding another cord that you’re going to have to deal with. Long story short, a headset with a good detachable microphone is potentially going to be your best option in terms of convenience. Lastly, it’s really hard to compare a headphone + mic combo to a $50 headset when it comes down to price vs. performance, gaming headsets can offer something that most headphones don’t – the attached mic. If you’re the kind of person who doesn’t like a whole bunch of bulky cables, or maybe you’re constantly on the go, then a gaming headset can definitely offer a value that headphones can’t – without mods or packing around more than you have to. That said, it’s not impossible to get a good pair of headphones and a standalone mic for less than $50. There are plenty of good headphones for gaming under $50 that could be paired with a cheap $10 microphone which would end up very comparable to a headset for the same total cost. It all boils down to personal preference. If money is not a worry and you just want to absolute best overall sound quality possible, definitely go for a high end pair of audiophile headphones and a good standalone mic over a headset. When all is said and done, headsets and headphones are two different pieces of equipment whose names are often interchangeable – or at least they’re used like they are. Knowing the difference is often going to determine whether or not you enjoy your gaming experience. You could easily make the decision to buy a junk $60 headset, or you could learn a little bit of the specifics and get yourself an awesome product. When you’re considering if you should get a good ol’ gaming headset or a pair of audiophile-grade headphones and a mic, you should first consider what you need them for the most – and then how much you can spend. Are you going to use them mostly for movies and a bit of gaming without VoIP? Or mostly for gaming with VoIP and then maybe some music and movies on the side? 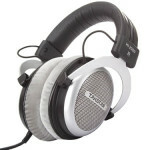 The first group would more than likely prefer good audiophile headphones, but the second might opt for a headset instead. There are a few really decent headsets out there that you could consider, and you really don’t have to break the bank to get one of the best. 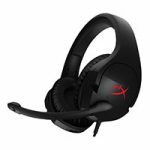 Sure, there are quite a few headsets for upwards of $150, but Kingston’s HyperX Cloud II is easily one of the best on the market and it comes in at just under $100. But, you could get comparable quality for around the same price by going with the Takstar Hi2050 headphones and a Mod Mic 4.0.. This is where it comes down to a matter of what you need – or want. Like pretty much anything and everything to do with computers, picking the best source of audio is also highly customizable and boils down to personal preference. If you’re on a tight budget, or you need something to game with on the go, then you should take a look at our top 5 gaming headsets for under $50 or top 5 under $100. 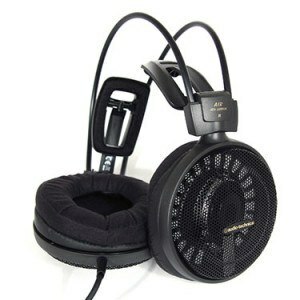 But, if you’re looking for the best sound quality coupled with the ability to call people noobs with crystal clear clarity, then you might want to consider looking at some audiophile-grade headphones and a standalone mic. Have any questions? Ask me in the comment section! Good post, Branton. I first thought that the attached mic is the only difference between the two! You clarified my doubt.